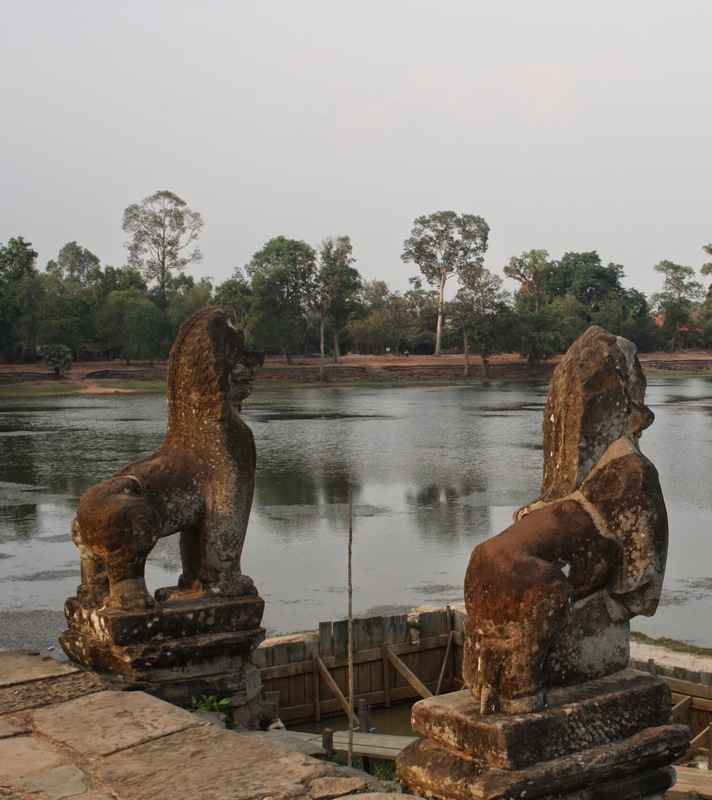 To the east of Banteay Kdei temple (on the Inner Round) is a large lake named Srah Srang. Though this modern name means 'Royal Bath', its inscription says the lake was for the benefit for 'all creatures except the dyke-breakers (elephants)'. The lake's landing stage hides it from the road, which makes it a pleasant surprise once you actually manage to climb up. Sitting on the stone landing platform of the lake is such a relief after the grueling heat of the temples. A cool wind blows, the water pleases the eye, the only sound is that of children playing nearby. It's a good spot for some much needed rest before winding up for the day.